Click on the wrench in the bottom left to get to your Shopventory settings. 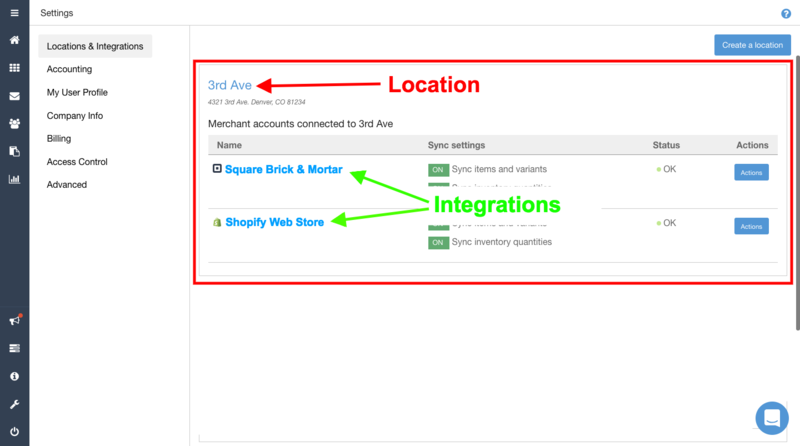 "Locations & Integrations" is the first tab you'll see. 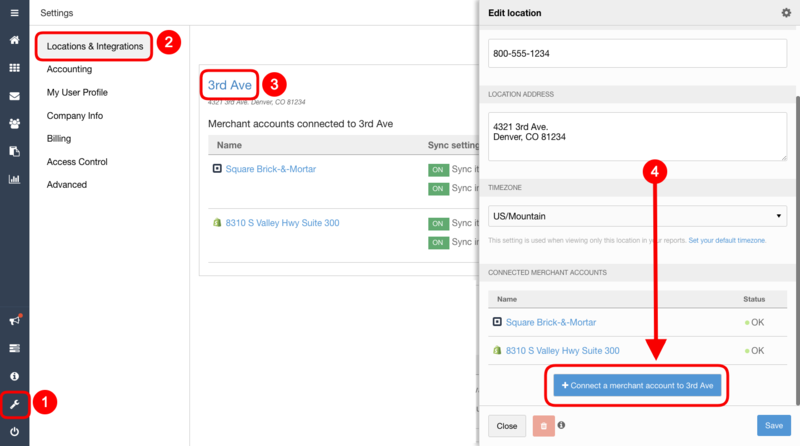 All your locations and their corresponding merchant accounts (integrations) are listed here. Each location is a separate pool of inventory. 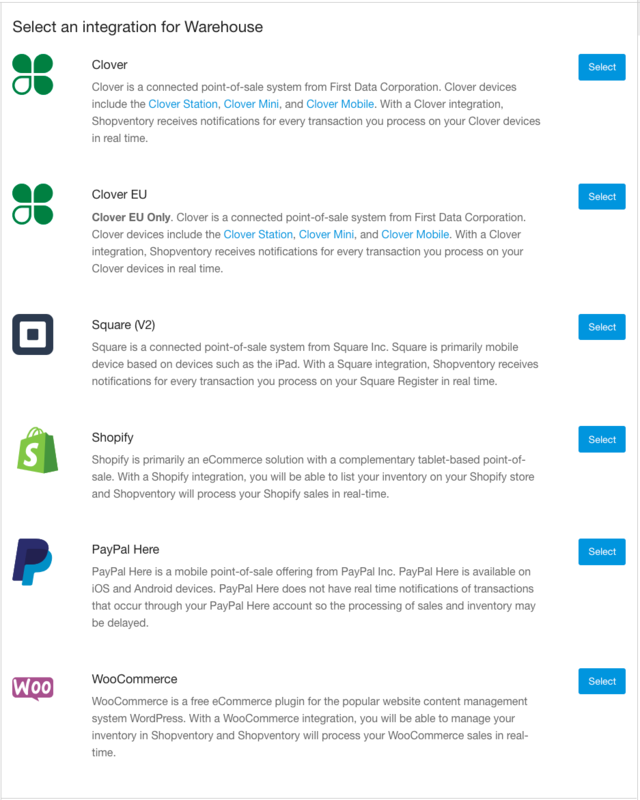 Each integration supports an unlimited number of POS devices (so if you have six registers at one location, no worries!). A location without an integration will be considered a "warehouse" location. Products are tracked, can be manually adjusted, and can be transferred to other locations. 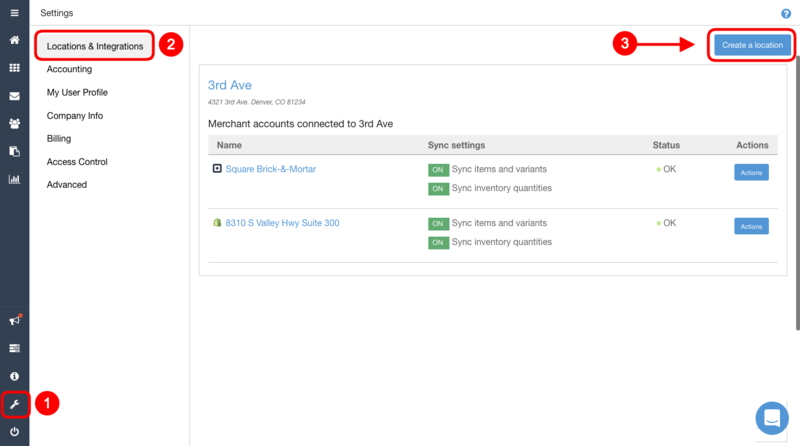 You have the option to import inventory information from the integration into Shopventory. Note: If the Shopventory location does NOT have inventory and your integration DOES contain inventory, you can import the list from the integration. However, if the location already has inventory, importing from the integration may cause products to be duplicated. See Duplicate Products for more details. Once the integration has been added to the location, you can start pushing the inventory information from Shopventory to the new integration by Exporting to an Integration. Please let us know if you have questions! We are here to help!